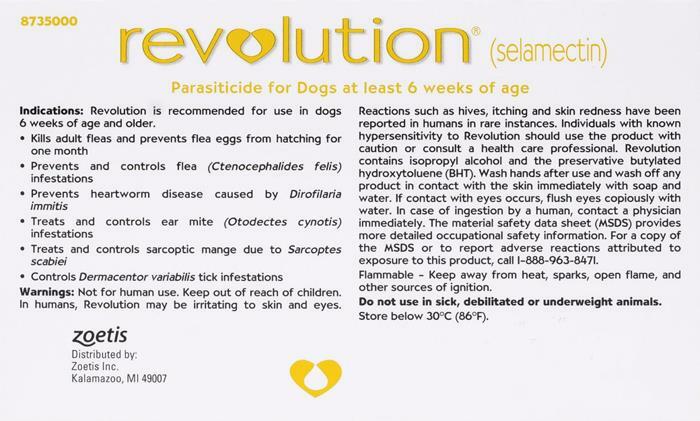 Revolution Red for dogs prevents heartworms, fleas and other harmful parasites. Why buy 4 different treatments for 4 different parasites, when you can prevent them all with a single medication? Whether you’ve got a Basset hound, Border collie, or an English bulldog their tails will wag with vigorous joy after a single treatment rids them of all their parasitic woes. Do I need a perscription to buy Revolution? Seems to be the product we have used in the past, works as advertised. Great products and great prices! Love the auto-ship! !